At Taft Hill Orthodontists, we can use innovative techniques and technology to make traditional orthodontics look more discrete and speed up the duration of the treatment time. 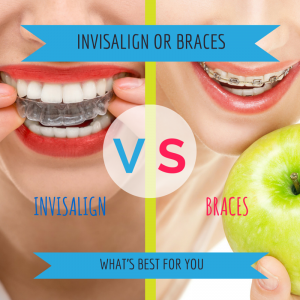 However, when it comes to inconspicuous orthodontic methods, many patients believe Invisalign® is the clear winner. Using a system of removable plastic aligners, Invisalign® can effectively straighten your teeth in a manner that is virtually undetectable to others. In addition to the cosmetic advantages during treatment, Invisalign® has a number of other benefits. Since the clear plastic aligners are removable, cleaning your teeth, orthodontic maintenance, and eating are simplified. The Invisalign® treatment also typically requires fewer visits to the dentist’s office than metal braces. Many patients report that the aligners are fairly comfortable to wear and do not require the initial adjustment period that patients who choose traditional orthodontics often find unpleasant. Though not every patient will be an ideal candidate for Invisalign®, the treatment can be an effective option for most people, including teenagers. During the consultation process, we will use a physical exam to help determine if Invisalign® is the best method for you to achieve straight teeth and a beautiful smile. For more information about Invisalign® or Invisalign Teen®, or to schedule a consultation, please contact us today.